Bungalowpark Les Doyards in Vielsalm - the best offers! This price applies to 8-person cottage D Libellule, with the arrival as 6 May 2019, 2 Nights. This price applies to 2-person apartment A Demoiselle, with the arrival as 6 May 2019, 2 Nights. This price applies to 4-person apartment A Mouchette, with the arrival as 6 May 2019, 2 Nights. This price applies to 6-person apartment B Cascade, with the arrival as 6 May 2019, 2 Nights. 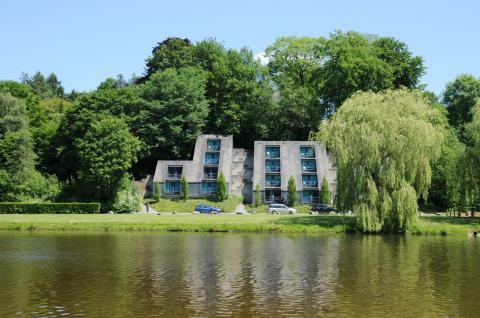 Bungalowpark Les Doyards is situated on the banks of Lake Vielsalm, just a short walk from the town of the same name. The area is perfect for day trips, water sports and outdoor activities. 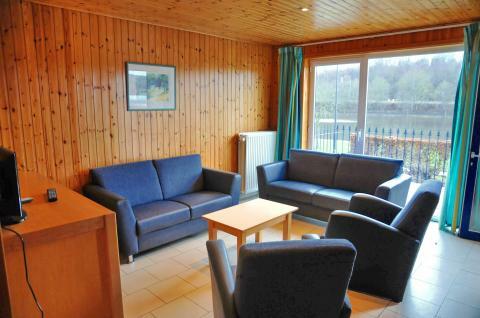 Come and relax in the fresh mountain air of the Ardennes! Les Doyards holiday park that focuses on peace, relaxation and family fun. At the reception, you can borrow board games and get advice on local attractions. 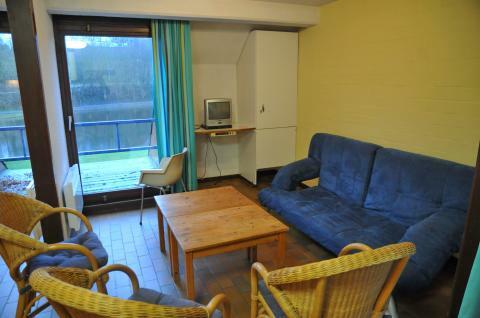 You can rent fishing equipment, and you can use the sports centre with tennis courts and sauna for a small fee. You are not allowed to swim in the lake, but you can go fishing. There is a large playground with lawn and table tennis. In the amusement arcade and climbing wall the children will have a fantastic time. You can rent mountain bikes and explore the area from a saddle, or try horseback riding in Mont-le-Soie. Go kayaking in Coo, or visit the indoor swimming pool with mini-golf. Visit Baraque de Fraiture ski resort during winter, or surprise the kids with a visit to Plopsaland Coo Theme park. You can also visit Luxembourg during your holiday. The park charges a deposit (maximum €100,-) per accommodation. This deposit will be refunded into your account within 4 weeks of your departure. For groups of young people, this deposit can be significantly higher.